The purpose-built ProStar® 570 Engine is optimized for trail performance. 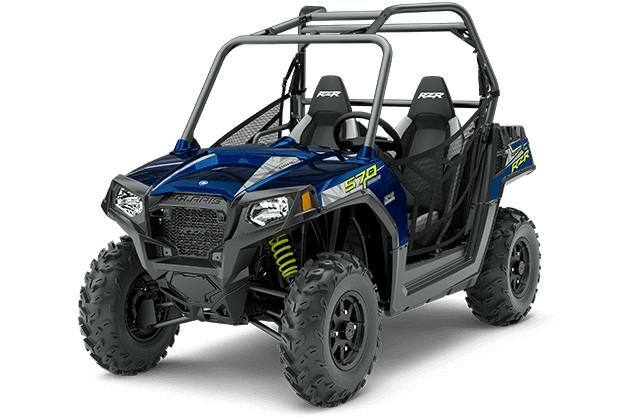 This engine delivers the power of a twin cylinder but the efficiency of a single cylinder for impressive acceleration (0-35 mph in 4.0 seconds) and the power you need to take on the trails. 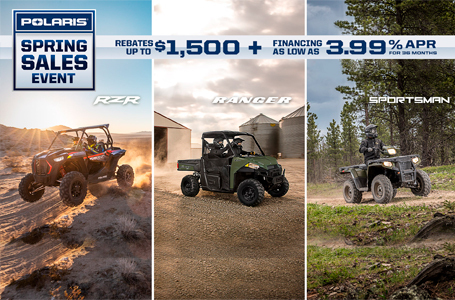 RZR has been refining trail suspension for over 10 years, and the RZR 570 features the proven front and rear Dual A-Arm suspension system. This system delivers the ideal combination of a 50" trail-width and maintains a solid 9 inches of suspension travel so you experience a smooth ride over those bumps and rocks on the trail.